Brussels sprouts are also called sprouts and soups. It adopts the leaflet on the inner side of the leafhopper as the product. The leaflet ball is of a rare, tender, sweet, rich flavor, unique flavor and rich nutrition. Its protein content is the highest among kale cabbage and is highly favored by consumers in Europe and the United States. According to the local climate characteristics, Anyang City Vegetable Institute introduced 3 foreign varieties in 1998 and 1999. After trial planting in autumn greenhouses, 2 suitable cultivars were selected, 812 kg per mu was produced, and the output value was 14,200 yuan. The product was supplied on New Year's Day and the Spring Festival market. The economic benefits are very significant. The cultivation techniques are as follows: I. Variety Selection The Brussels sprouts planted in the autumn greenhouse should be selected for extremely early-maturing varieties with wide adaptability, cold-resistance, disease resistance, neat bud balls, compactness and long harvesting period. Such as: Early Childhood Hold (Japan), OLIVER (Netherlands). Second, nurturing strong seedlings (a) sowing seedlings from late July to early August. The nursery beds are selected to be flat and fertile with convenient drainage and irrigation. Each mu of cultivated land needs 15-20 square meters of seedbeds. Each square meter of seedbed is applied with high-quality soil miscellaneous fertilizer or fully decomposed human-animal manure 8-10kg, after the deep-drawing of Pushi 30cm, and then leveling to do 1.4m. In combination with soil preparation, 100 kg of fine soil shall be screened, and 50 g of carbendazim and 40 g of trichlorfon wettable powder shall be blended and mixed into a drug soil for use. Brussels sprouts use dry seed sowing, use 25 g per acre cultivation field, sow the seedlings first when sowing, soak the soil after the water seepage 0.5cm thick, and then sow in several grades, and finally cover the soil 0.5cm thick, so that the seeds There are medicinal soils on the top and bottom, which can effectively prevent plant diseases and insect pests. (B) Seedling Management This period of nursery is in a hot and rainy season. Immediately after sowing, shading facilities are placed on the seedbed and dug ditches around the seedlings. Usually a small arch shed is placed on the seedbed and covered with a black shading net. During the day, the temperature of the seedbed should be maintained at 20Â°C-25Â°C, and the temperature can be appropriately increased after 3-5 days. The temperature control is mainly performed by watering and sunshading. After the emergence of the heart and leaves of the seedlings, the seedlings are promptly sparse to promote the development of the root system and the soil is cultivated; the seedlings of 3-4 seedlings are seeded in time. The seedbeds are the same as the seedbeds, and are planted at a spacing of 10cm x 10cm. After splitting seedlings, use a double-layer shading net to shading for 2-3d, and then change the single shading net after easing the seedlings. If the middle is not divided into seedlings, can be in the 2 leaves 1 heart seedlings, seedlings from 4-6cm square. Seedlings to prevent locusts, cabbage worms, and damping-off. Third, timely planting 30-35d after sowing, seedlings really leaves 5-6, can be colonized. Due to the longer growth period of Brussels sprouts, it requires a large amount of fertilizer, and one week before planting, it will do a good job in fertilization and soil preparation. Cultivated field Mushi long-term decomposed organic fertilizer 3000-4000kg, compound fertilizer 50kg, diammonium 30kg, after the deep cast of Pu Shi, fine leveling, according to 1.2m wide north-south. 1d before planting seedbeds should be irrigated, according to plant spacing 50cmx60cm colonization, acres of planting 2200 or so. IV. Management of greenhouses (1) Water and fertilizer management Watering in a timely manner after planting, 3 days before pouring the water once. Slow seedlings were sowed about once a day for 7 days, controlling the water for 4 to 5 days. In the future, the soil in the field should be kept moist, and the period from the beginning of the growing season to the bud expansion stage should be gradually increased. Into the leaf ball harvest period, the outside temperature is low, watering once 15-20d. The whole growth period of Brussels sprouts was topdressing more than 4 times, 7 days after planting, the seedlings were used to grow seedlings, and 5 mus of urea was applied. After 20 days of planting, the tree-fertilizer was applied to promote the vegetative growth of the plants. The buds inflated later laid the foundation; the plants entered the buds. The ball expands to catch the 3rd fertilizer; in the later period, 2 to 3 top dressings are applied 1 time, and after the 2nd time, the top dressing amount is 15 kg of urea. From cultivation of seedlings to rosette cultivars must be 3-4 times, combined with cultivator to plant roots to prevent plant lodging. (B) Temperature management Plant growth should maintain a relatively high temperature during the early days, 22 Â°C -27 Â°C during the day, 13 Â°C -15 Â°C at night; in early November when the temperature dropped to 5 Â°C when the film was shed, the temperature during the daytime shed 16 Â°C -20 Â°C, between about 10 Â°C, not less than 5 Â°C; leaf formation period, daytime temperature 13 Â°C -16 Â°C, night 7 Â°C -10 Â°C. Reduce the number of watering after the shed, and the relative humidity in the shed is less than 90%. (3) When the plant height is adjusted to 40cm, a 50-80cm high bamboo cutting stand is used to stand upright and the upper part is tied with a rope to prevent lodging. For the axillary buds and diseased leaves with poor basal nodule, they should be photographed early to reduce nutrient consumption, which is conducive to ventilation and light transmission. When the leaf ball develops hypertrophy, the petioles will oppress the leaf ball, and the leaf should be gradually beaten from the bottom to the top in the early stage of leaf ball expansion. The removal of the top heart while playing the old leaves is conducive to the downward transfer of nutrients, the promotion of leaf ball enlargement, and the increase in the number and quality of shoots. (D) pest control Brussels sprouts strong disease resistance, less occurrence of pests and diseases. However, when the humidity of greenhouses is more than 90% or the management is extensive, the pests and diseases are still serious. The main diseases are black root disease, downy mildew, black rot, and sclerotinia, which can be used separately with 20% methylprepare phosphate 1200 times, 65% zeocin zinc wettable powder 500-700 times, and 72% agricultural sulfuric acid. Streptomycin 4,000 times, 50% acetaminophen wettable powder 1000-1500 times control. Insect pests were mainly cabbage caterpillars, diamondback moths and aphids, which were controlled by Kaiwei-168, cocoon moths, and net spray once. V. Timely Harvest In late November (85 days after planting), leaves of Brussels sprouts are fully swollen and tight. The leaves are 3-4 cm long and 2.5-3.0 cm in diameter. The leaves can be cut from the bottom up using a knife. The number of leaf balls harvested per bulbous Brussels sprouts is 35-40, and the harvest period is 40-43 days. 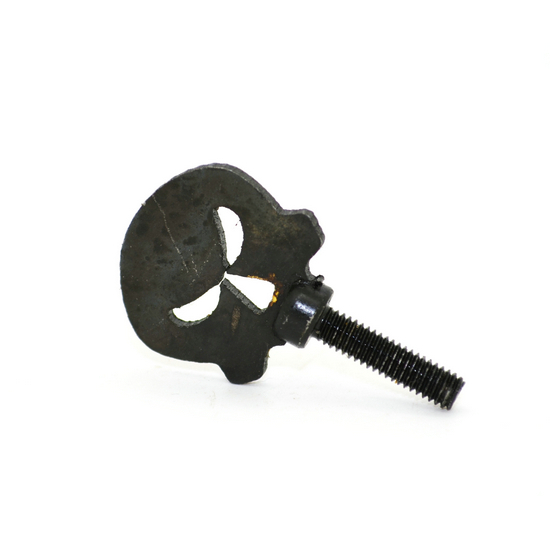 Tattoo Machine Tube Vice Screw is one of the most important Tattoo Machine Parts of one Tattoo Machines. 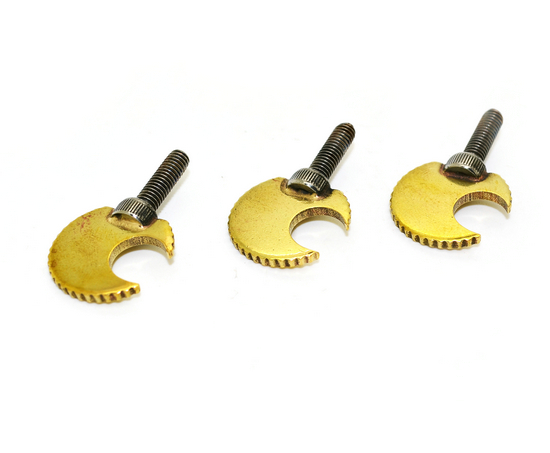 CNC brass Tattoo Tube Vice screw,brass tattoo tube vice screw and iron tattoo tube vice screw are all available in our store. You can choose many different beautiful tattoo tube vice screw designs in our store. We also can do designs as your demand,welcome your OEM order.